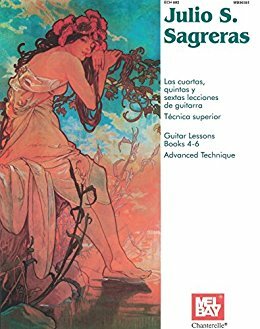 The Guitar Lessons of Julio Sagreras are among the most universally used collections of guitar music and represent a milestone in guitar didactic literature. The original six lesson books, along with the book Advanced Technique, were an immediate success on their introduction and remain so today. This edition brings together under one cover Lesson Books Four, Five, and Six as well as Sagreras's Advanced Technique volume. The studies in each book are carefully fingered and graded. They are charming, melodious and extremely effective in the classroom. They are also an ideal introduction to classical guitar playing and also to Latin American guitar music. Some of the later studies are appropriate as concert repertoire. This text is in English and Spanish, with French and German translations in an appendix at the back of the book.